Background: Hair care cosmetics are meant for the purpose of cleansing, modifying, promoting growth and grooming the hair. These products are designed to provide nourishment and prevent hair damage; these are mainly comprised of shampoos, conditioners, grooming products, etc. The products have gained prominent deliberations across the globe due to increasing issues of hair related problems. As these problems are enhancing at a greater rate, use of hair care cosmetics should be regulated in order to make them safe and effective to the consumer. However, manufacturers across the globe are conducting safety analysis to ensure the safety, non- irritating potential of these products and that the product should not cause any allergic reaction. 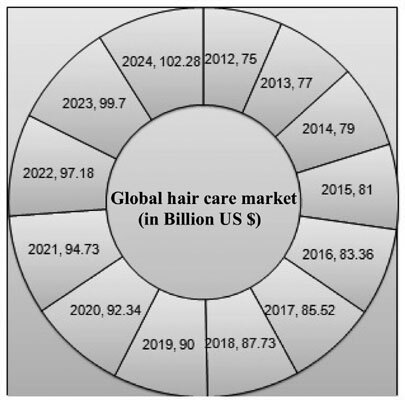 Objective: The review highlights several regulatory as well as clinical aspects of hair cosmetics that govern the use of hair products worldwide. Laws and regulations followed by various countries are highlighted. The write up also unfolds clinical and safety aspects of different hair care products. Methods: Regulatory guidelines and clinical reports have been retrieved using sites www.usfda.gov and www.clinicaltrials.gov, respectively. Conclusion: The FDA has recommended that hair care cosmetics should be evaluated for the type of allergic reactions and the products should not be contaminated. An appropriate antimicrobial agent must be added in order to prevent any type of microbial contamination. The product's safety should be observed in market-place via consumer comments and complaints. Keywords: Cosmetics, clinical trials, hair care, safety, shampoos, regulations. Keywords:Cosmetics, clinical trials, hair care, safety, shampoos, regulations. Abstract:Background: Hair care cosmetics are meant for the purpose of cleansing, modifying, promoting growth and grooming the hair. These products are designed to provide nourishment and prevent hair damage; these are mainly comprised of shampoos, conditioners, grooming products, etc. The products have gained prominent deliberations across the globe due to increasing issues of hair related problems. As these problems are enhancing at a greater rate, use of hair care cosmetics should be regulated in order to make them safe and effective to the consumer. However, manufacturers across the globe are conducting safety analysis to ensure the safety, non- irritating potential of these products and that the product should not cause any allergic reaction.